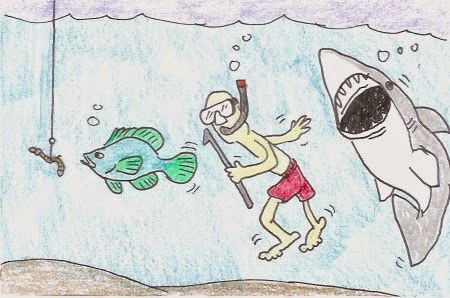 The man who was fishing using a rod and reel enjoyed his shark tacos that night, but every time he ate a bite he was reminded of his business partner Christian, who was supposedly also vacationing in the tiny village where he was staying. He was surprised they hadn't run into each other yet. "It's too bad," he thought, "Something tells me Christian would have taken to these tacos right away."